I have been struggling to come to a decision about which two specializations would be most optimal to play during 6.2. From what I could tell from browsing these forums, it seems that the consensus is that assassination/combat would be the best bet, but I cannot seem to understand why. After looking at heroic mode logs, the bosses that combat pulls ahead of the other two specs are: assault, kormrok (by a very small margin), kilrogg (if you're going into the portal), Iskar, and Xhul. On Assault and Iskar, I cannot wrap my head around how combat would be better in regards to the priority of adds. On Iskar, would it not make more sense to go sub and train eviscerates into whichever mob is at the top of your raids priority, rather then cleaving them all down? I feel the same way towards Assault; even though your dps may skyrocket when you go combat, is it really worth doing that much lower dps on adds that are a priority? 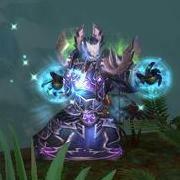 In regards to Kilrogg, if you are not part of the few who go into the portals, I do not see how it would be worth going combat. Kormrok is so close that I feel that in my case, where my group has had no issue killing the hands, I cannot think of a reason to switch from sub, which even with the aoe is only 1.7k behind combat. Xhul seems to be a bit harder to argue against combat, although sub does not seem like an awful alternative if you are constantly assigned to clearing fire and eating black holes. This post may have ended up more as me attempting to rationalize why I do not need to go combat, but I hope my arguments make sense. Perhaps things change a ton in mythic, but is it actually worth swapping my sub spec out for combat? You're absolutely right - if you aren't concerned with meters at all and just want the boss to die, you could play Sub/Sin on Assault/Iskar and not worry much. I actually played Sin for my guild's first couple Xhul kills because we needed a stronger execute phase. It really depends on what your raid needs. If you're really having a hard time getting priority adds down while playing Combat, it's much more likely that the rest of your group isn't focusing said add properly.